As I mentioned before I am now a little hooked on gingerbread paired with orange. This is my version of a dessert we had on Thanksgiving at The Biltmore Estate. What better way to say Merry Christmas than with a snow topped chocolate gingerbread bundt cake? This is my favorite bundt pan for the holidays. It reminds me of a snow topped European building once the powdered sugar is sprinkled on top. It’s so simple and festive. 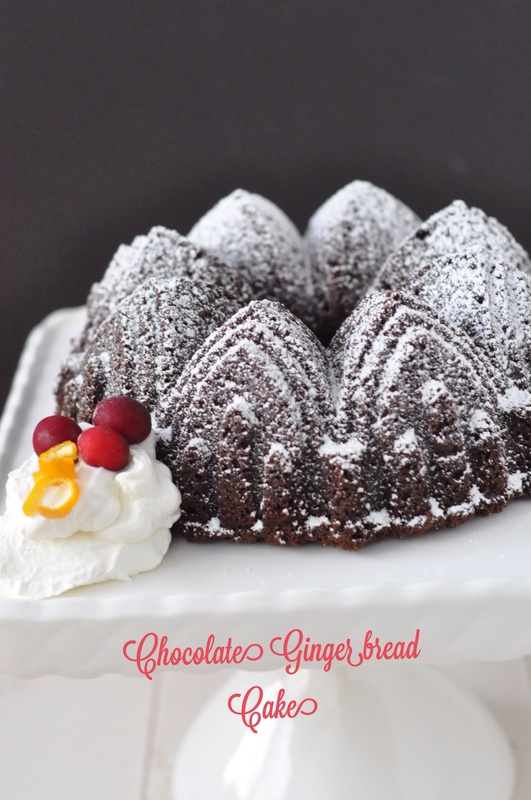 This entry was posted in Cakes and tagged bundt cake, Chocolate, Christmas, Cointreau, gingerbread, holidays, orange whipped cream on December 15, 2014 by Gretchen.